♥ Deerly Beloved Bakery ♥: Apple and Blackberry Pie and Thick Vanilla Custard! Apple and Blackberry Pie and Thick Vanilla Custard! 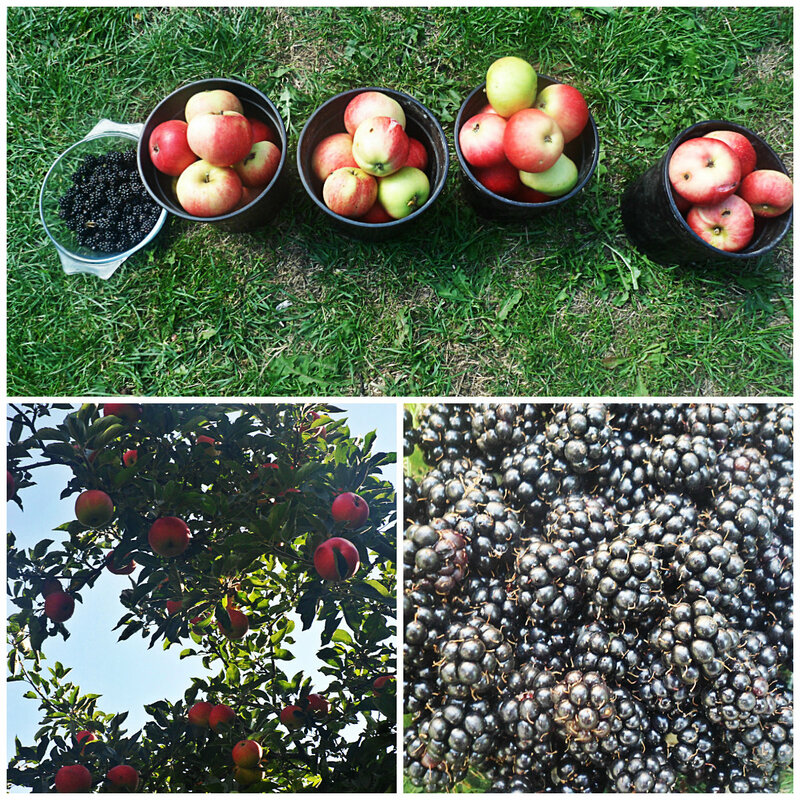 We have had an absolute bumper crop of apple and blackberries in the Deerly Beloved garden this year! I have been cutting them up and freezing them and making apple butter all week but one of my favourite things to make is a good old fashioned apple pie! 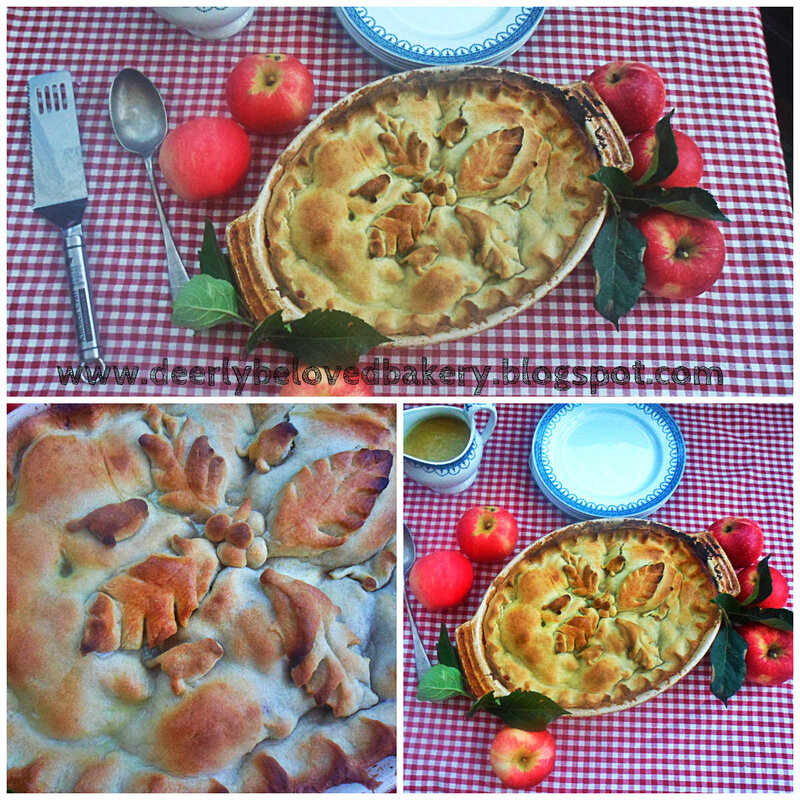 So continuing my pastry theme I thought I would share my apple pie recipe along with my thick vanilla custard recipe too! 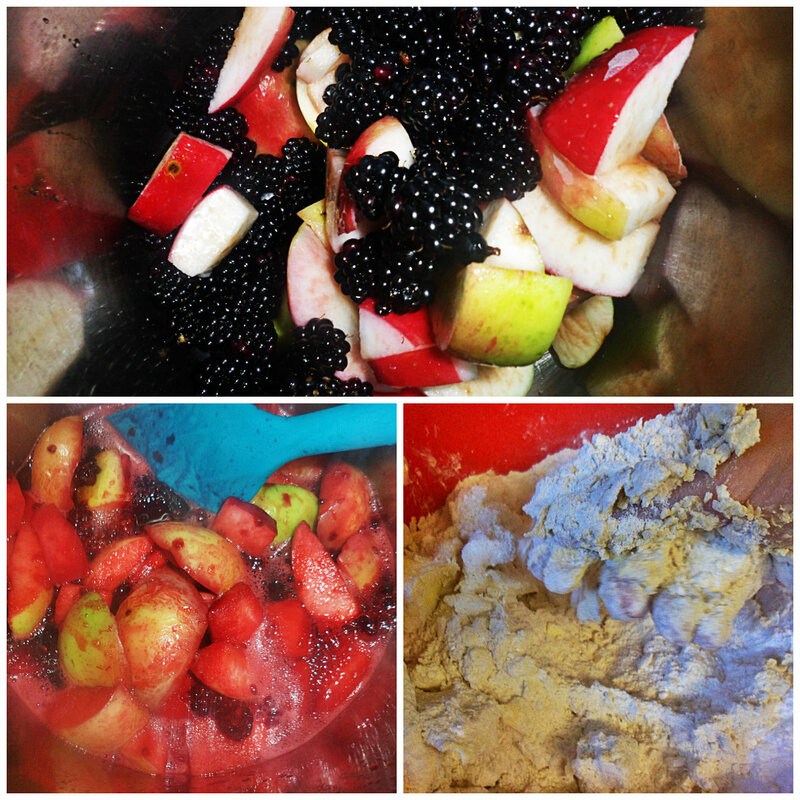 In a large pan add the apples, blackberries, sugar and spices. Place on the stove and bring to the boil. As soon as they start heating they will let out all their juice so there is no need to add water, however if you are a bit worried about them catching you can add a couple of tbsp of water to get them going! Cook for 15-20 mins until the apples are just soft but still holding their shape. In the mean time make your pastry. Place the flour and sugar in a bowl and rub in the margarine with your fingers and thumbs to form a bread crumbs. Then add the water bring together to form a dough that cleans the side of your bowl. Cling wrap and allow to cool in the fridge for 10 mins. Remove the dough from the cling film and on a floured surface, roll out to cover a 10'' pie dish. Lay the pastry in the dish and trim the edges with a knife. Add the fruit on top of the lined pie dish. Then roll out the remaining pastry and cover the fruit to form a lid. Trim excess pastry off the sides. Then gently crimp the edges or use a fork to seal the edges of the pie together. Place in an oven at 200c for 25 mins. While the pie is cooking make your custard! In a sauce pan heat the margarine then add the flour. Stir quickly and then slowly add the milk a bit at a time until you have made a thick white sauce. Then add the sugar and vanilla and stir. Then add the pinch of Turmeric. You won't taste this spice but it will give the custard it's traditional yellow hue! 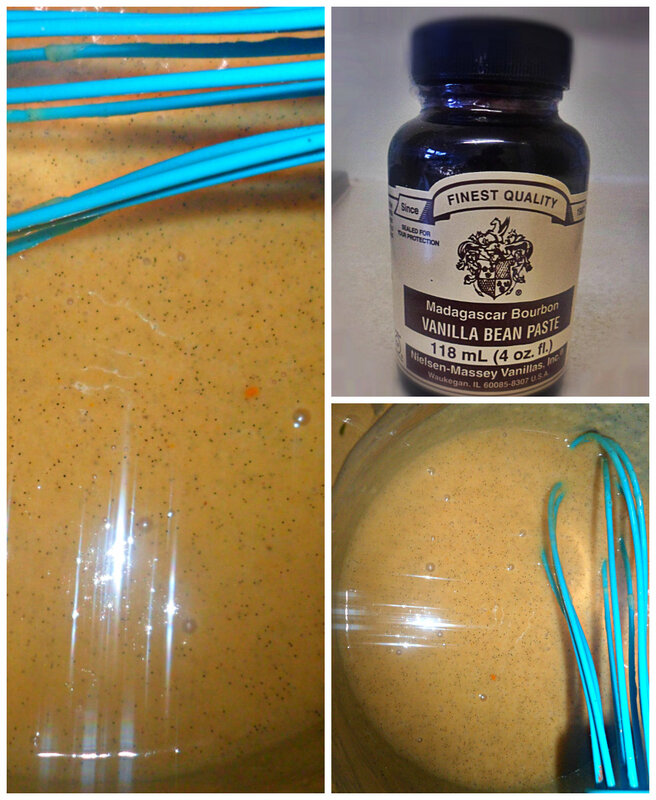 Pour into a serving jug. 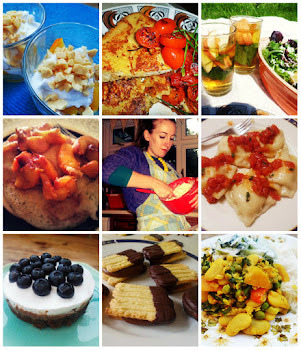 If you have enjoyed this recipe and my blog please follow us! Wow the pie looks fantastic! That is such a gorgeous pie! Could that pie get any prettier??!!! That apple pie looks lovely! I never thought to add blackberries; I'll have to try that sometime! The custard vs ice cream for hot puddings is a matter of serious debate in my house - I'm glad you've come down on the side of good sense!